Chelsea star Eden Hazard is reported to have nearly risked his entire international career with Belgium back in 2010. The 28-year-old has been a star performer for club and country for a long time now, but a moment of stupidity landed him a two-game suspension when he stormed out of a game after being subbed off. This is according to the Sun, who translate quotes from Hazard referencing the story, which saw him leave a game early and go off to have a burger with his family. The piece states this now makes Hazard a bit of a legend in the Belgium dressing room, but it could have had dire consequences for him. 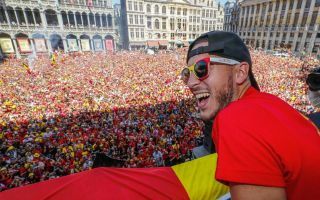 Luckily, Hazard has gone on to become one of his country’s best ever players in what has been something of a golden generation for the Red Devils. The Chelsea winger was also even captain for Belgium during their third-place finish at the 2018 World Cup.